For 100 years, Minor Rubber has been a leading manufacturer of molded, extruded, and fabricated rubber parts. 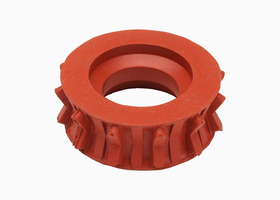 We have earned a reputation for providing high quality custom rubber molding and extrusion, meeting the most demanding specifications of custom applications. Whether you require a custom part for a new product or application, or require a production run of a custom part for replacement parts or stocking distributors, we have the capabilities and expertise to manufacture your part. We will manufacture your part right the first time and deliver it on time and on budget. Our facilities are fully equipped with state-of-the-art equipment and managed using the latest technologies. We have the flexibility and capacity to manufacture your parts efficiently and economically, while meeting the highest quality standards. We offer quantities from prototype through full production runs. Molding: We offer compression, transfer, and injection molding, allowing us to manufacture your part using the most effective method. We also offer latex dip molding for boots and bellows. Molded products can be produced using a variety of materials, durometer hardness, and colors to meet your application’s requirements. In addition to commercial grade materials, we manufacture parts using specification grade materials that meet or exceed Mil-Spec, ASTM, SAE, ANSI, and FDA standards, and can develop special compounds for your part if required. Extruding: Minor Rubber manufactures custom profiles, tubing, washers, and gaskets using our state-of-the-art extruding facility. We have the capabilities to produce extruded parts in simple or complex shapes, long lengths on reels or in coils, and fabricated with holes, notches, or special cut-outs. Gaskets can be manufactured with molded or injection molded corners. Our in-house tooling capabilities allow us to manufacture accurate tooling quickly and economically for your custom part. 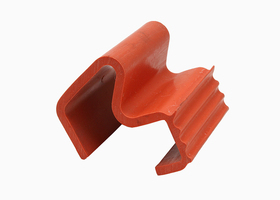 Extruded parts can be manufactured using a wide range of materials, colors, and hardness. Minor Rubber’s custom manufacturing capabilities provide us with the ability to manufacture high quality products and provide you with a one-stop solution to your rubber part manufacturing challenges. Call today to see how we can be of assistance.